Shedding pounds doesn't have to mean sacrificing flavor. Just because you’re trying to lose weight doesn’t mean your meals have to be boring and bland. 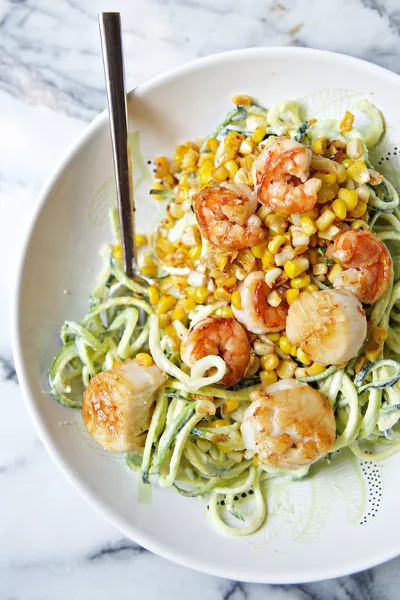 Take this chili lime shrimp zucchini noodle dish for example, or maybe the smoky paprika fish tacos with apple slaw—you can almost taste the to-die-for flavor. 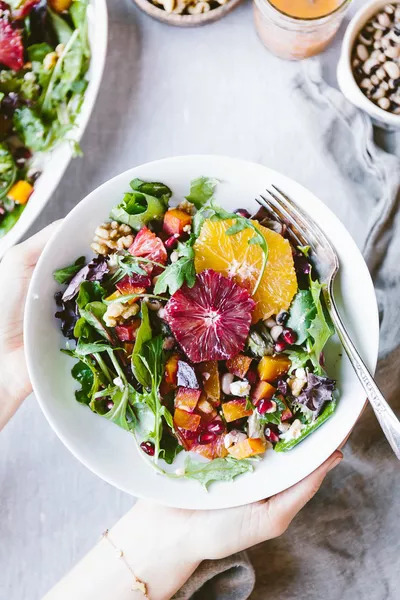 Here, we’ve rounded up seven of the best healthy recipes for weight loss that will make you forget you're trying to shed pounds. Who needs carb-heavy pasta when you have mouthwatering zucchini noodles like these? This recipe by Biscuits and Such packs serious flavor thanks in part to the fresh avocado and Greek yogurt sauce. Tangy, filling goat cheese magnifies the flavor of any healthy meal. That’s why Foolproof Living put it on top of this scrumptious fruit and veggie dish. 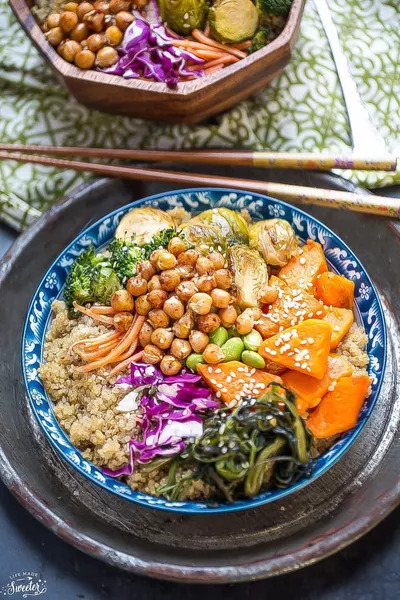 You don’t need to be a veggie lover to swoon over this dish by Life Made Sweeter. 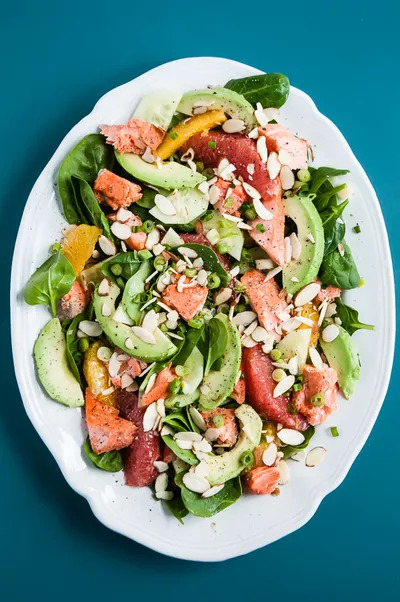 The warm grains and avocado cream dressing bring flavors together in a way that will make you forget you’re eating healthy. Yep, you can still have tacos when you’re trying to lose weight. 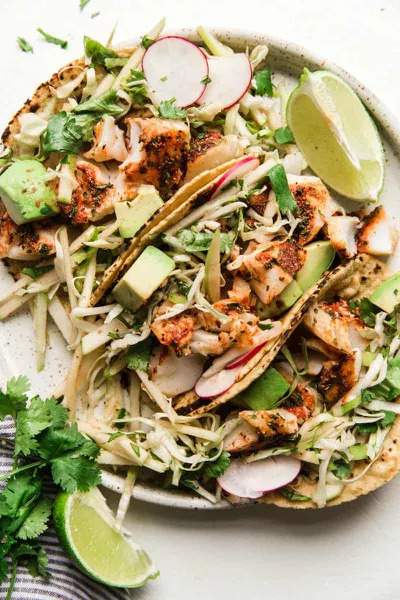 Just replace the meat with white fish and the heavy toppings with a fruit and veggie slaw, like this dish by The Recipe Critic. 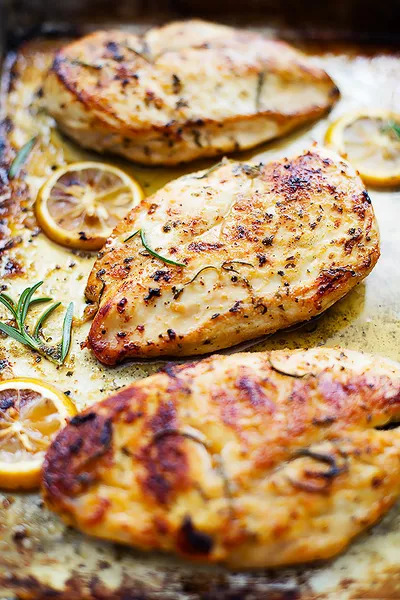 Some nights you just want to keep it simple, and that exactly what this lean lemon chicken recipe by Creme de la Crumb will help you do. You can whip it up in under 30 minutes, and it’s still healthy as can be. If you haven’t hopped on the tofu train yet, this recipe by Pinch of Yum will convince you to get on board. 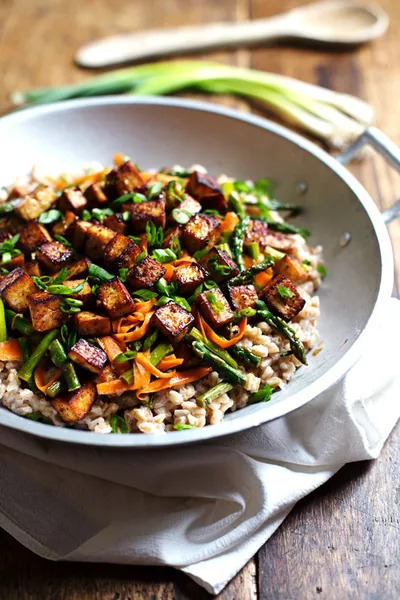 The honey ginger sauce gives both the tofu and the veggies a zesty kick that’s sure to leave you wanting more. Make filling, flavorful salmon one of your go-to foods when trying to lose weight. Throw some veggies in the mix, and you’ve basically reached the epitome of a healthy plate. Use this delicious recipe by Cafe Johnsonia to get started.